At Raymax, we understand chiropractic requirements and offer 14 x 17 or 14 x 36 full spine options. 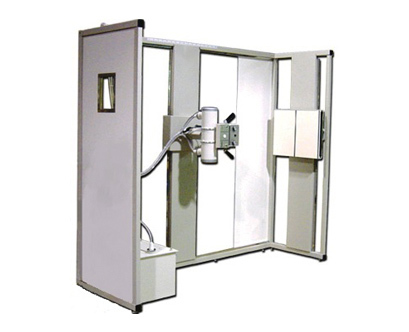 Apart from the Conventional model, we also offer our Systems with Digital Flat Plate Detectors. Our unique free standing frame is accurate and easy to install. It incorporates the lead lined shield for the operator with a lead glass window. The Bucky can be mounted on either left or right side of the frame. This frame can be customised to suit the room dimensions.